New CSPs, BPs, Name Icons, Face Square, and 26.swandz for PM 3.6 & Regular 26.swandz (with JYB's voice). This entry was part of a (Now Deleted) bundle, but felt it could do better on its own. I took jayphenrix's chart as a base and made my own chart, adding in more costumes and more stages. Enjoy! WARNING: This chart is for cBliss ONLY! Custom Stages Organization is OPTIONAL. 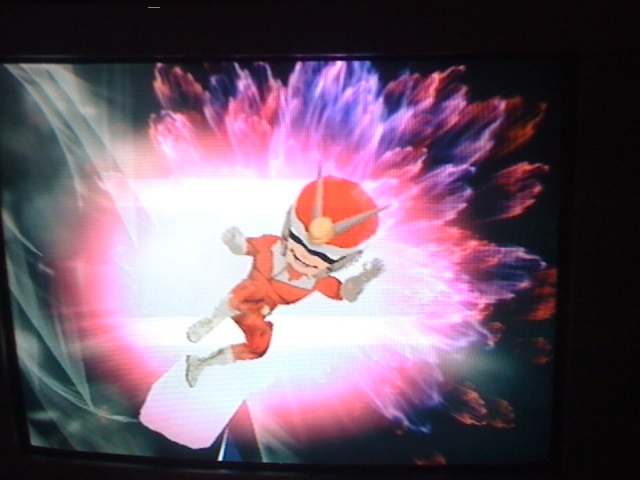 I really liked Viewtiful Joe over Yoshi so I buffed him to make him suitable for Minus. Most of his attacks are 2 or 3% stronger. 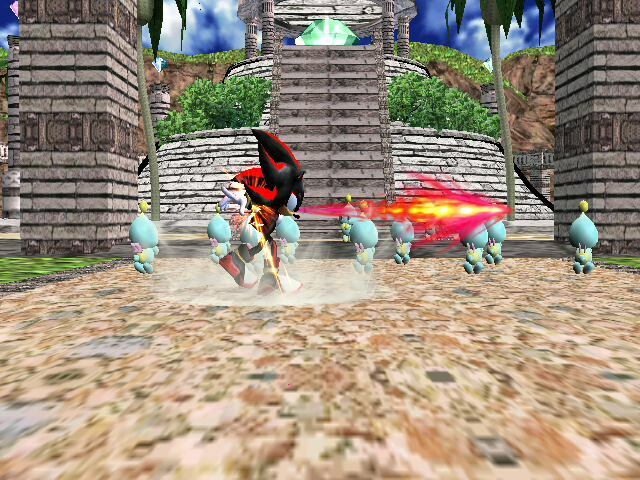 His Red Hot attacks deal fire damage, he has improved recovery, heavy armor on his dair, and can pummel faster. I sped up his running animation a little as well. Not much more to it than that. Just Joe capable of fighting with the Minus roster. Update: This hack is OUTDATED please use Ganon ver. Edit [theBlueWind]: If any of the textures freeze up on you, check out the FitBodyMask and/or FitHeadMask textures. If they're 512x512, then resize them to 250x250. That's the normal size for these texture files. Edit[ShadowWolf]- Sorry Bluewind, we made new textures. These are not yours. But I will give credit I suppose for the idea of it. 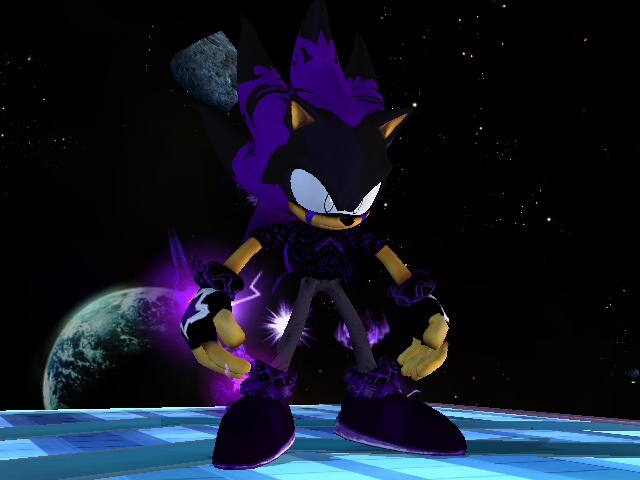 XChosenOne1 here with Shadic the Hedgehog, This basically a texture, it still has shadows moves,but ShadowWolf and i will release a psa of him soon,Also comes with SFX, If anyone wants make new portraits to shadic please send them or click add csp, Transforms into hyper upon using FS. Update: This hack is outdated... Please use Shadow over Wario. 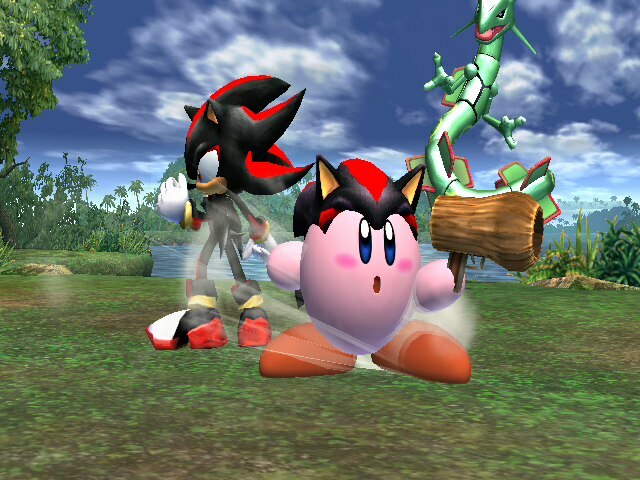 Hey its me with a v2 of my Shadow over Diddy.The improvement on shadow is that his speed,jumps,and his up B are all equal to sonic.Also i made i Kirby hat for Diddy. 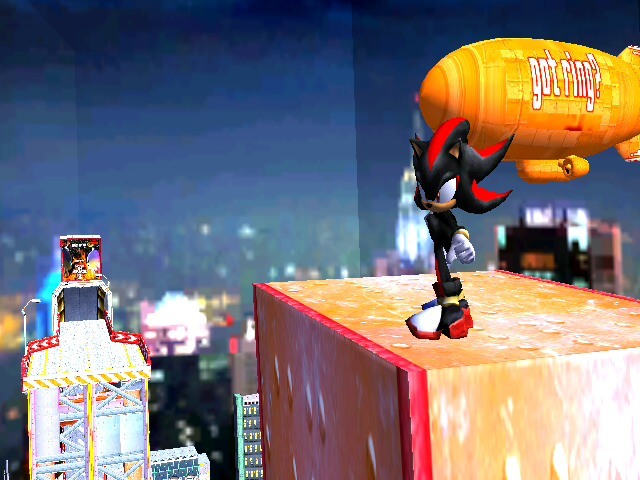 Glitches: Shadow will have 2 of Sonic's sounds.Also in some levels the down b and the chaos spear wont show or will be glitchy. Also if there are any glitches or problem message sonic and Knuckles. 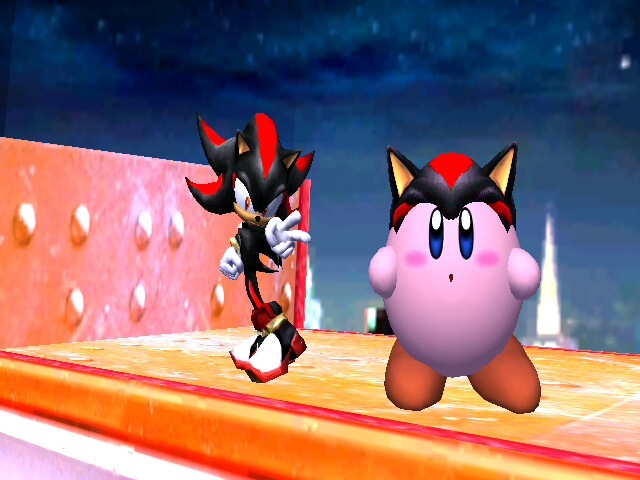 Credit goes to sDo0m for the original PSA, mariodk for shadow over dk ,and everybody who made the shadow hack. hey its me with a v3 of my shadow over dedede. 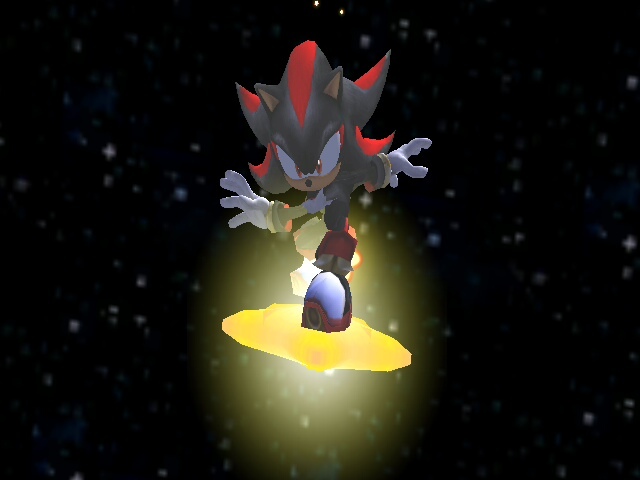 the improvement on shadow is that his speed,jumps,and his up B are all equal to sonic. also i made i kirby hat for king dedede,but it doesn't have a PSA. so far this hack works flawlessly ,i played this hack to death and i did not freeze. 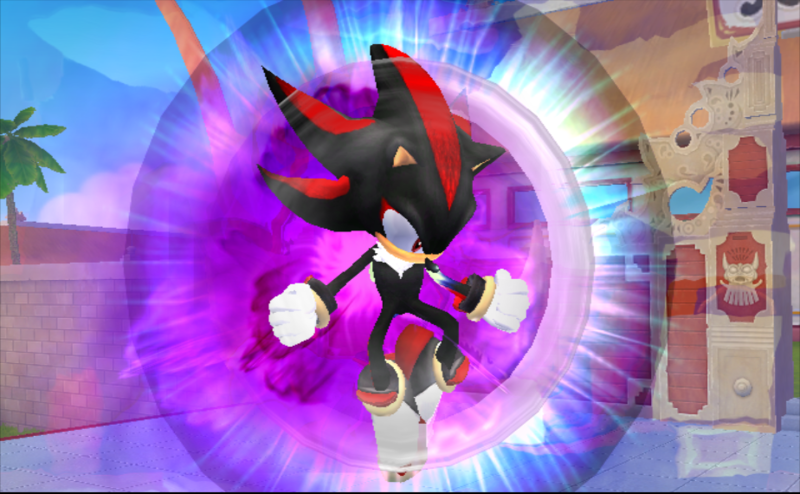 Glitches: shadow will have 2 of sonic's sounds. also in some levels the down b and the chaos spear wont show or will be glitchy. also if there are any glitches or problem message Leon Exodio. What's up guys? This is the LC with a edited brawl hack. I edited calikingz01's Megaman over Peach's SFX, so that way Gecko users don't have to hear Peach's SFX. 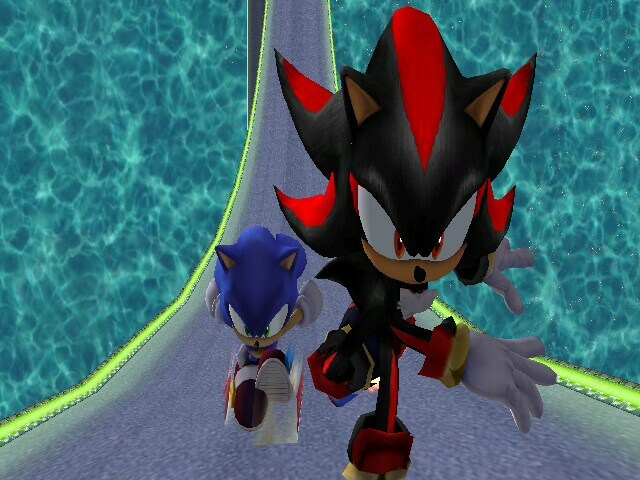 i take NO CREDIT all goes to people that made shadow. 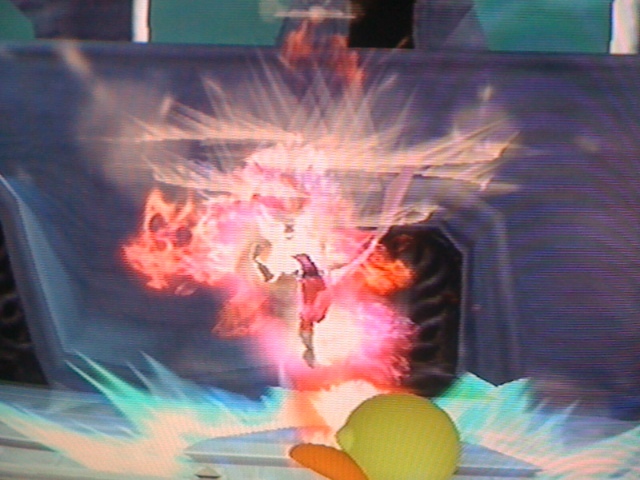 this may be my final shadow over dedede because it works flawlessly. 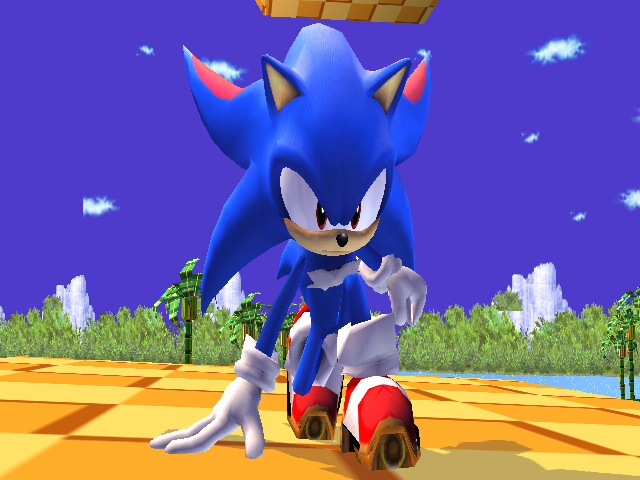 Glitches: none so far only problem is when you play shadow vs sonic, shadow will have some of sonics sounds. 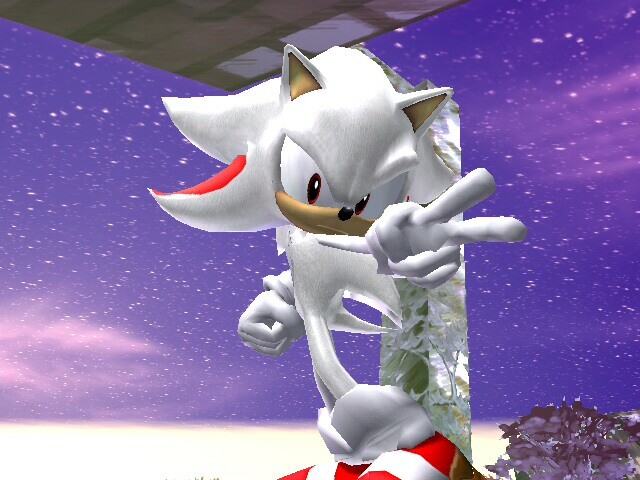 Thankes to sonic and knuckles and HaxMax for helping me with the final smash working and showing super shadow and the acceleration speed. UPDATE 4/6/12: This hack will be updated with an improved running and acceleration, and his FS, I think, will be Chaos Control. Well, that's what I think it is. The FS slows everything down to almost a complete stop, just like in "Shadow the Hedgehog." What's up guys? This is the LC with a revamp of someone's hack. 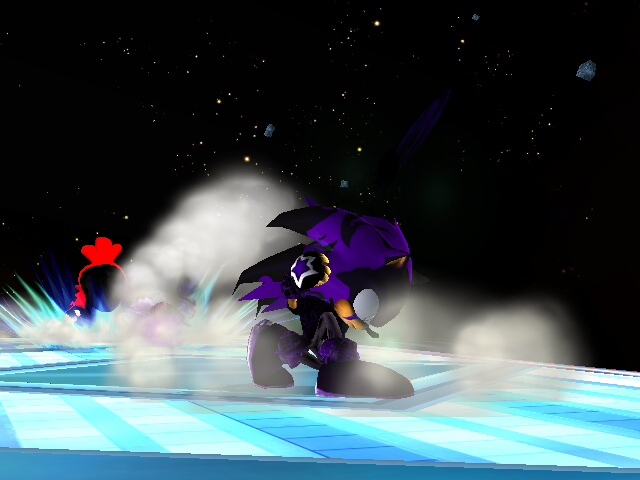 I liked the Shadow over Olimar V2 made by calikingz01, and it even has the Chaos Blast that looks like from the original game Shadow the Hedgehog. Only it doesn't have alot of knockback. 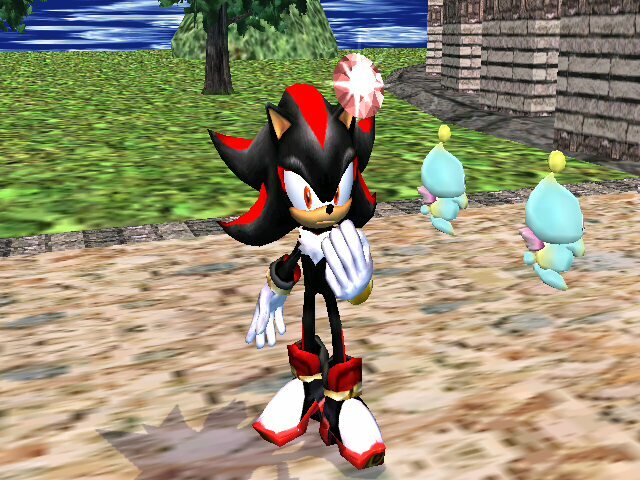 But, it still had the original vertexed Shadow and not the imported model. So, I decided to edit it and make it compatible with this PSA import! I also edited the taunts a little bit. There was some strange graphic problem with the up taunt. But, I fixed it, and it looks decent. 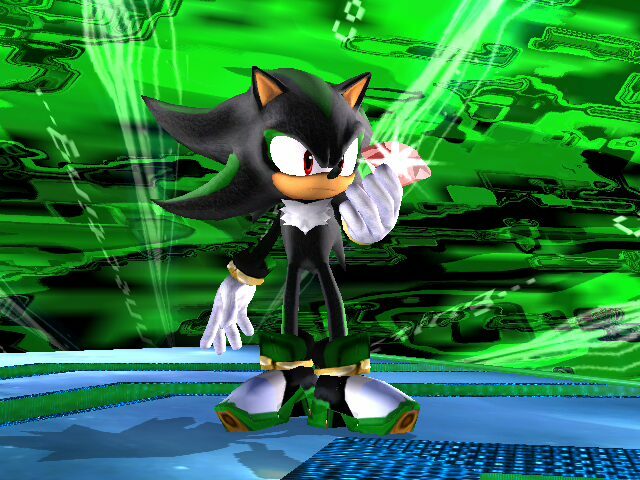 Credit goes to calikingz01 for the original import, SuperZelda for the FS edit, sDo0m for the original PSA, Nanobuds, Dot, and Segtendo for the Shadow model, and -SGVenom- for the Shadow recolors. What's up brawl hackers? LC here with an edited brawl hack. 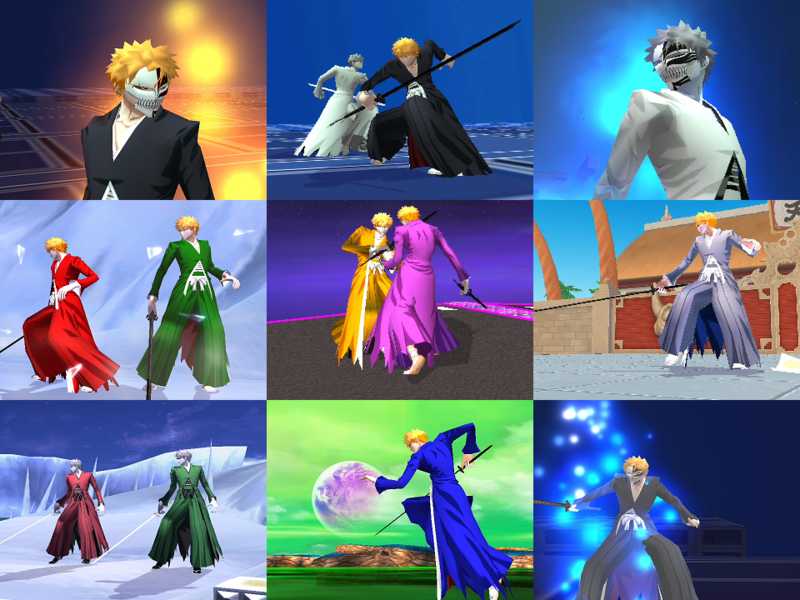 I saw that ds22 made a ichigo model import over Marth, but there were no recolors. So, I decided to do my own recolors. It comes with the pac and pcs files, and CSPs also. Gonna make a video at the end of the week, along with other hacks also. Credit to ds22 for the original model import. Later! message me if any issues. Oh yea, you have to find your own models. i only included one. Hey there brawl hackers, big or small. This is the LC with a brand new brawl hack. After replacing Luigi with Mewtwo, I still wanted to have him back. I saw diedhammer98 made a pretty good Luigi over Mario hack, but I didn't want to use that lame brawl texture. 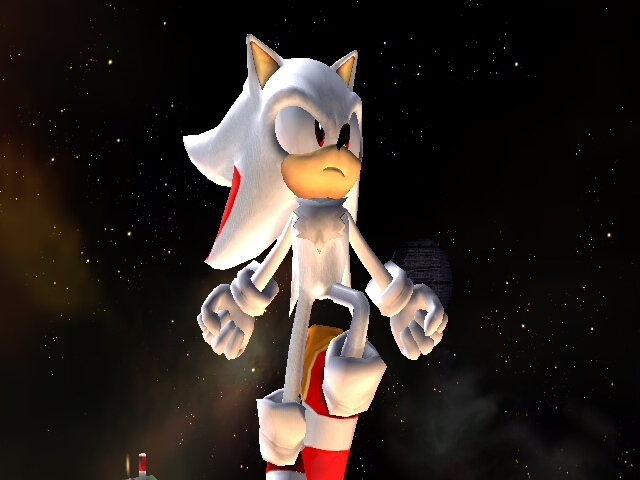 So, I looked through Luigi's textures here and I used Wiiland3k's Galaxy Luigi, and I used his textures. The hack works very well, everything works. The only problem, in my opinion, has to be FLUDD, and that's it. If there are any glitches with this, PM me. Until next time guys, later! Hey there brawl hackers, big or small. This is the LC with my last brawl hack for a while. I liked ASF1nk's Brawl Hax menu, but I wanted to add a little of my favor to it. So I decide to make this! Where it says Brawl Hax, it now says Brawl LCX. And behind it is a Death Note background. I also completely changed the loading screen background. If you want to download this go right ahead. Until next time guys! Hey there brawl hackers, big or small. 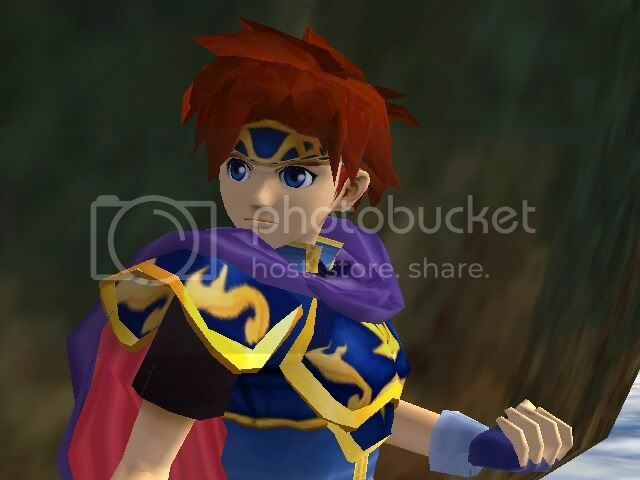 This is the LC with a revamp of KTH's Melee Roy over Ike. I gave the hack Ike's sfx and 2 new win animations, (one of them is in the video, the other one is Ike's win1 "I fight for my friends"). Happy brawl hacking! this hack isn't to be used for another one. Video of the changes i have made below. 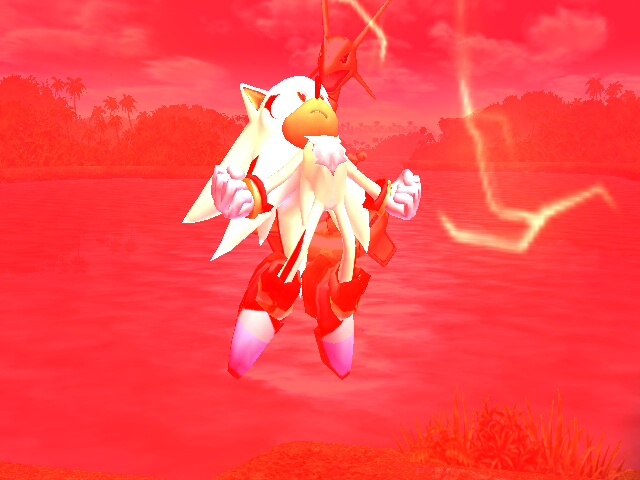 This is a little hack i like of sonic. it can use some work but beside that, its fine. enjoy and report me if any problem. i'll try to help you. PS if you don't know where the .rel go's, put it in your module folder. UPDATE 4/21/12: This will be updated. Deal with the hack as is. What? I told you I was gonna release this after the hurricane was over and the power can back on. Eh, whatever. Hey there brawl hackers, big or small. This is the LC with a revamp of Tails over Lucas. The only real change is the soundbank. 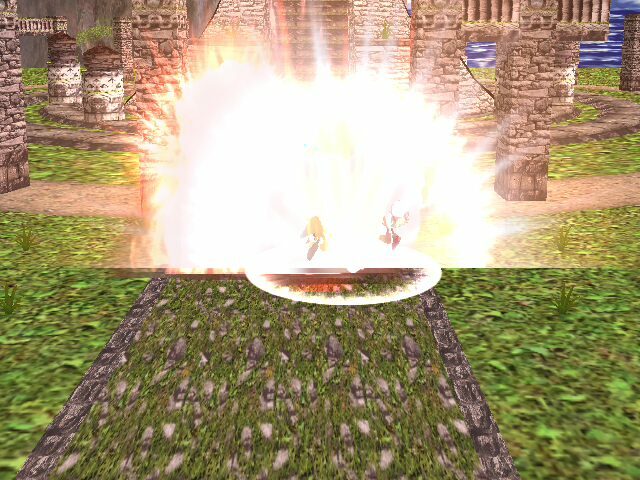 It now has Lucas' sfx! Happy hacking! UPDATE 4/21/12: This hack will be updated. Deal with it as is for right now. EDIT: There are files in there to replace Bob-omb to make Tails' B move less cheap. Hey there brawl hackers, big or small. This is the LC with a brand new brawl hack! 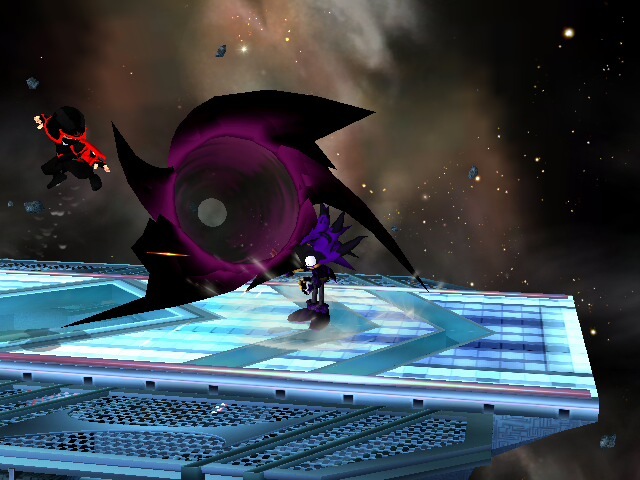 This time, I made a pack for the Tails over Meta Knight to work over Lucas! The only glitch I saw was the FS...there isn't any. I will make a revamp and give the hack it's own sound bank for sfx or you like Luca's sounds and it makes you horny, I don't know. Happy brawl hacking! Hey there brawl hackers, big or small. This is the LC with a revamp of Young Link over Toon Link. Improvements: Can now grab, pummel, and throw, thanks to ds22. 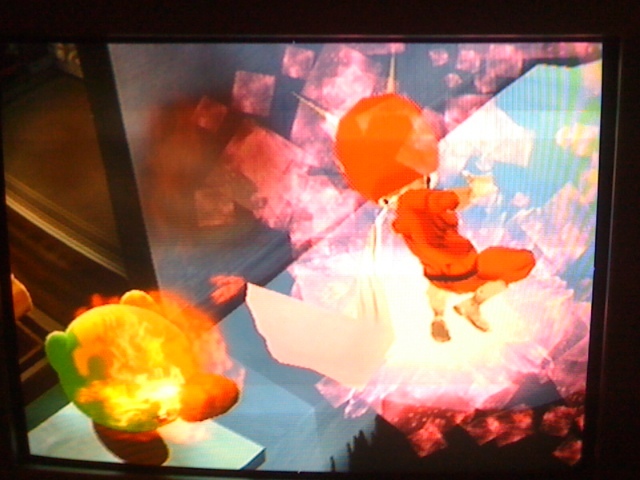 Has it's own sfx (Toon Link's sounds), and fixed a texture glitch under the kilt. Needed to do: New moves needed, new FS, new props. EDIT: Do not throw anyone forward. Game Freezes. Hey there brawl hackers, big or small. This is the LC with a brand new brawl hack. From the poll, the winner was Mewtwo over Falco, and I did it. It's exactly like Mewtwo over Jiggz, only it comes with 2 files. One is for the original animations for the hack, and the other is custom wait animations. They're a little fast, don't know why. If someone can slow the speed of the waits, that would be greatly appreciated. Happy brawl hacking! Page created in 0.28 seconds with 137 queries.